The kitchen is always a special part of the house, and it’s a place where you’ve most likely made many memories. It can often be described as the “heart of the house” since gathering to cook and enjoy delicious food is something that can bring everyone together. However, if your kitchen feels cramped or unfinished, or there are aspects you’d like to change or update, now could be the perfect time to think about a remodel. 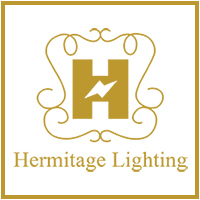 At Hermitage Lighting Gallery in Nashville, our design experts can help you create your dream kitchen and assist you in choosing cabinets, countertops, and everything you need to make the room feel complete. You’ve most likely seen countless kitchen themes, from country cottage and rustic to ultra-modern and minimalist options. Everyone has their preferences, and choosing a theme can seem like an insurmountable challenge. You may have aspects of your current kitchen that you like and want to keep, and those things can be the impetus for designing your new space. If a certain piece of decor or artwork inspires you, you can use the color palette or design as a starting point and build your new kitchen from there. It’s important to keep in mind that everything from the lighting to the faucets should feel harmonious and work together to make the room feel unified. Once you’ve chosen a theme and begun picking out design options, it’s important to think about how long it will take to remove the old appliances, countertops, and everything that’s being taken out of your kitchen. If you’re tearing down walls or adding on to the square footage of the kitchen, you’ll need to think about how long demolition and construction will take. You’ll also have to think about any new plumbing and electrical work that will need to be completed. New light fixtures and sinks will be of no use to you if you don’t have the wires and pipes to support them! right kitchen for you. Our lighting and design team will walk you through each step of the remodel process and answer all of your questions regarding fixtures, counters, and more. If you’d like to see some projects we’ve completed in the past, visit our Kitchen Portfolio page and look through the gallery of outstanding photos that capture everything from a house in the treetops to suburban chic. You may see some ideas that inspire you to begin on your remodel, and you may even see ideas you want to include in your new kitchen!